Now in its fourth decade of business, AMG Medical Inc. was founded by Allan M. Goldenberg in 1972. Allan had previously worked for ten years in a variety of positions at a small surgical instrument import company. Driven by a burning desire to run his own company, Allan faced the challenge of establishing a business without capital. Nevertheless, he opened “AMG Sales Agency Inc.” in his parents’ garage and turned to several overseas surgical instrument contacts who demonstrated trust and support by supplying products on a small open account basis. Allan’s vision expanded beyond surgical instruments as a direct result of frequent trips he made to New York City where he developed new relationships with entrepreneurs who taught him about the medical sundry business. 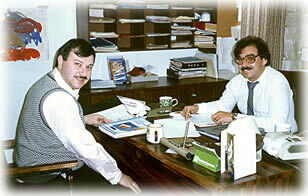 In 1978, Ben Topor joined Allan to handle administrative matters for AMG. Ben had previously graduated from McGill University and held a position of responsibility in his familys business. 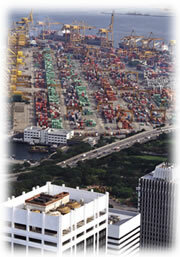 Throughout the early 1980s, Allan focused on importing and selling activities while Ben focused on finance and administration. They were supported by a staff of approximately five dedicated employees throughout the period. In the early 1980s AMGs product line had grown to include more than 1000 products with the bulk of sales coming from medical / surgical and diagnostic categories. In 1982, Allan made his first trip to Asia. As a result of this trip, AMG developed many important new supplier relationships through which the company entered new business categories; including disposable gloves, non-woven hospital products and wood products such as tongue depressors and cotton-tipped applicators. In 1985, AMGs strategic focus expanded dramatically as management identified the opportunity to serve the emerging home healthcare market in Canada. 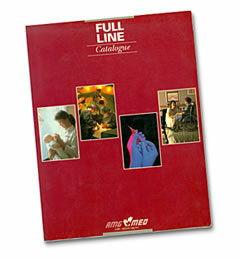 In 1988, AMG published its first Full-Line Catalogue featuring more than 2000 products. The Full-Line Catalogue brought together all of AMGs products into one concise communication vehicle and crystallized AMGs position as a one-stop source of supply for medical dealers across Canada. Also in 1989, Robert Oringer joined AMG as a partner through the merger of his company, Technolab with AMG. That same year, the company invested in new computer systems, including a state-of-the-art in-house desktop publishing capability within its marketing department. This department produced the companys first Home Healthcare Catalogue. On the U.S. side of the border, AMGs executive management team had founded Can-Am Surgical in the early 1980s along with Herb Cover. Herb led Can-Am in its early years along with his wife, Arline Cover. Can-Am Surgicals original mission was to replicate AMGs Canadian distribution success in the U.S. market with a focused selection of products. In 1989, Robert Oringer joined Herb in targeting the U.S. market. 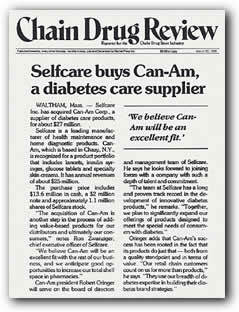 In 1989, Can-Am Surgical was renamed Can-Am Care Corporation, a distribution facility was established in Chazy, NY, and the companys strategic mission was refocused to serve the diabetes market as a value-priced supplier of blood lancets. Over the course of the early 1990s, Can-Am created and developed the category of private label diabetes care in the United States  eventually expanding its offerings beyond lancets to include a full line of ancillary diabetes care products.